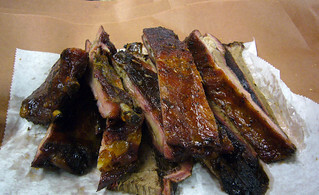 Sweet, well-carmelized crust on both pork ribs and brisket. Brisket was on the dry side. Pork ribs were some of the best I've had. Unfortunately, they were out of sausage.